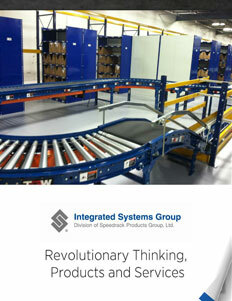 Integrated Systems Group understands customer concerns, finds solutions. The Speedrack Products Group proudly bills itself as nothing less than revolutionary. 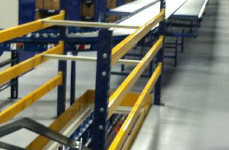 The company has been at the forefront of the storage products industry for more than 55 years and is among the industry’s leading suppliers of pallet racking and storage systems, thanks to a commitment to provide material handling systems/equipment that maximize customer use of space and contribute to effective warehouse logistics solutions in ways that ensure safety, productivity and reliability. Based in the Grand Rapids suburb of Sparta, Mich., Speedrack was first to develop a completely tubular pallet rack, and remains one of few providing seamless tubing for columns, beams, horizontals and diagonal bracing. 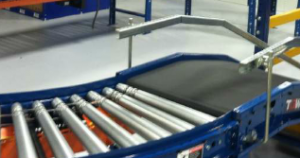 Few manufacturers offer the style due to production costs and precision requirements, but the approach allows for greater strength per pound of steel and higher resistance to damage than conventional open shape sections – ultimately yielding increased rack safety, longer rack life and lower rack maintenance. From his decade-plus post as a Speedrack vice president, Tim Bastic leads sales efforts and handles project management for the parent company’s Integrated Systems Group (ISG) division – which is also housed at the company’s Sparta headquarters and designs/builds material handling systems, including conveyors, storage, warehouse management systems and warehouse control systems. Another division – Speedrack Midwest – also bases its operation out of Sparta. Bastic said customers approach ISG with one of three “typical scenarios” – a first one that involves concocting a new distribution center after ISG goes into an existing operation and puts together a comprehensive analysis; a second one that involves consultation with ISG on improving and upgrading an existing material handling system; and a third one in which a company is looking to consolidate material handling operations and is seeking advice on how best to do so. He has access to a staff of engineers with conveyor systems and storage systems expertise that are then deployed based on the appropriate scenarios and what elements of the material handling process – receipt of goods, put away of goods, picking of goods and shipment of goods – are involved. “We actually draw upon the Speedrack resources,” Bastic said. “I have a group of four people in my area, and then we basically draw on resources from the Speedrack side, if and when we need them. For the other competencies that we get involved in, when you’re looking at doing controls and software interface, we have business partners that we’ve worked with for more than 30 years that we bring in and supplement what we do in that regard. ISG has a sales office in Chicago in addition to the overall Speedrack operation in Sparta, which is a three-building campus – each comprising 40,000 square feet – that also offers pre-owned equipment to customers for whom capital is an issue. Additionally, Speedrack has a 150,000 square-foot manufacturing plant located in Quincy, Mich., about 130 miles to the southeast of Sparta. The customer footprint spreads across the entire United States, Bastic said, and includes projects in Canada and Puerto Rico as well. And, rather than fitting the profile of a local company that does some work outside its home turf, ISG actually finds the majority of its clients outside Michigan. In fact, it has niches in varied industries like music, publishing and hardware, which has yielded far-flung project work from California to Indiana to Minnesota. A recent project in Yorkville, Ill., he said, saw ISG cold-call a company that had completed an engineering study with one of its competitors for $50,000, which then suggested that $1.5 million in material handling process improvements were necessary and provided no Plan B approaches. Bastic met with the company’s representatives two weeks later and ultimately presented an ISG engineering study that was not only significantly less expensive than the original, but illustrated the difference in the ISG approach that has kept customers loyal throughout the years. “A lot of business is repeat business, where we may be working with a VP of supply chain or distribution that will move on to another company and we will maintain that partnership with him,” he said. “As a result, we don’t do a lot of advertising. A lot of our work is either word of mouth or where we have an associate that moves on. We work hand in glove with our customers to understand what their businesses are, and then what their challenges are as it relates to the material handling side of their business, and where the opportunities are for improvement. Going forward, growth of the customer base via new sets of contacts – across many disciplines – is a priority for Bastic, as is vertically expanding ISG’s expertise in industries in which it’s already present. “The people that I’ve worked with for 30-plus years, we’re at a point where some of those contacts are retiring,” he said. 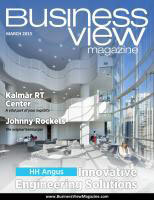 “Another very intriguing marketplace that I’ve worked with is in the direct-selling market. This is the Pampered Chefs of the world, the Tupperwares – that market is growing and those folks are opening up distribution facilities on a pretty regular basis. WHERE: Corporate headquarters in Sparta, Mich.